Application Authentication High Token request correlation id: '3982959c-aa59-0006-d6a0-f6602b29fb27'. 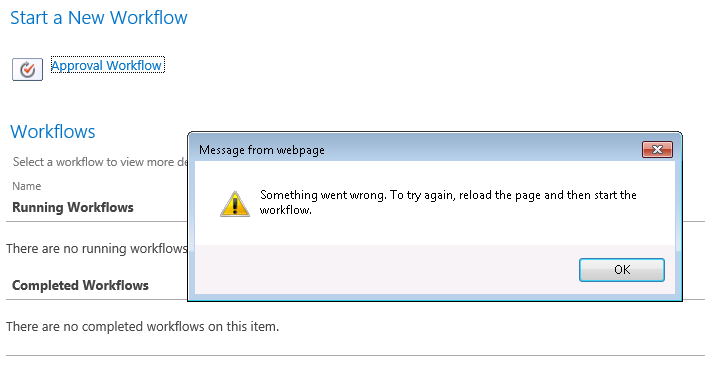 Unified Logging Service Monitorable Watson bucket parameters: SharePoint Server 2013, ULSException14, 044806dd "sharepoint server", 0f001181 "15.0.4481.0", 09d02580 "microsoft.workflow.client", 01009cc3 "1.0.40131.0", 52ef34cc "mon feb 03 16:18:52 2014", 0000005e "0000005e", 00000076 "00000076", 2e474e4c "invalidrequestexception", 0021c2c4 "ai2le"
CSOM Medium End CSOM Request. Duration=73 milliseconds. Thanks Nilushi for letting me know that the article was helpful.